What it is: Console and PC programs are coming to the iPad and that defines the future. At one time, mainframe and minicomputer users derided PCs as “toys” because they weren’t as powerful as the big computes. Then PCs gradually got more powerful until they reached a point where they were far more useful and versatile than mainframe and minicomputers, even if they weren’t as powerful. PCs became popular because they were cheap and easy to put on the desks of people who needed them. Eventually PCs did become more powerful than mainframe and minicomputers, so that’s why you don’t see mainframe and minicomputers around except in rare cases. The same trend is now happening with the iPad and laptops. Apple claims the latest iPad Pro with an A12x Bionic processor is faster than 92% of all laptops currently being sold. That means in one more generation, the iPad’s processor will likely be faster than nearly all laptops. So while the performance of the iPad keeps improving rapidly, the performance of the laptop grows much slower. Soon the iPad will be more powerful than laptops and less expensive too. Now combine the fact that Adobe is releasing a real version of Photoshop on the iPad while AutoDesk is releasing a real version of AutoCAD on the iPad as well. Game developers are prompting their console and PC games to the iPad because the iPad is finally powerful enough to run them. That means within the next year or two, the iPad will be at least as powerful as the average laptop if not more powerful. Then win a few more generations, the iPad will be drastically more powerful than a laptop, so what will that mean for laptops? Essentially it means that laptops will fade in popularity. After all, why pay more for a laptop when an iPad can run all your favorite programs while being lighter, less expensive, and faster to boot? That spells the end of the laptop and shows that the future is strictly the iPad. When more programs migrate from PCs to the iPad, then the iPad won’t have any disadvantages while laptops will be more expensive, heavier, and offering less battery life. Why would anyone choose a laptop when that situation becomes common? Laptops are dead. That’s why Apple is betting more on the iPad and less on the Macintosh. Even though more people are using the Macintosh, it’s clear that the iPad is the future computer for the masses. With an optional keyboard, the iPad can be an excellent tablet and a decent laptop. In comparison, Microsoft’s Surface is an excellent laptop and a mediocre tablet. Microsoft is trying to keep Windows relevant as long as possible, but when the iPad is faster, less expensive, and capable of running every program that a Windows PC can run, what will be the point of buying a Windows PC? There won’t be one because the iPad will be far more popular. Of course, the Macintosh and Windows PCs will still be around, but for mobile use, the iPad will dominate. The Macintosh and Windows PCs will be fine for running older programs or more complicated software like Linux, but the masses of people will opt for an iPad for ease of use and lower expense. Professional computer users will need more powerful and versatile tools (Windows PCs and the Macintosh) but the general public will be happier with the iPad. The iPad is the future of general computing. Just compare the cost, weight, and advantages between an iPad and the newly released MacBook Air and it’s getting harder to tell which one might be a better choice, and that alone should make laptop enthusiasts nervous. 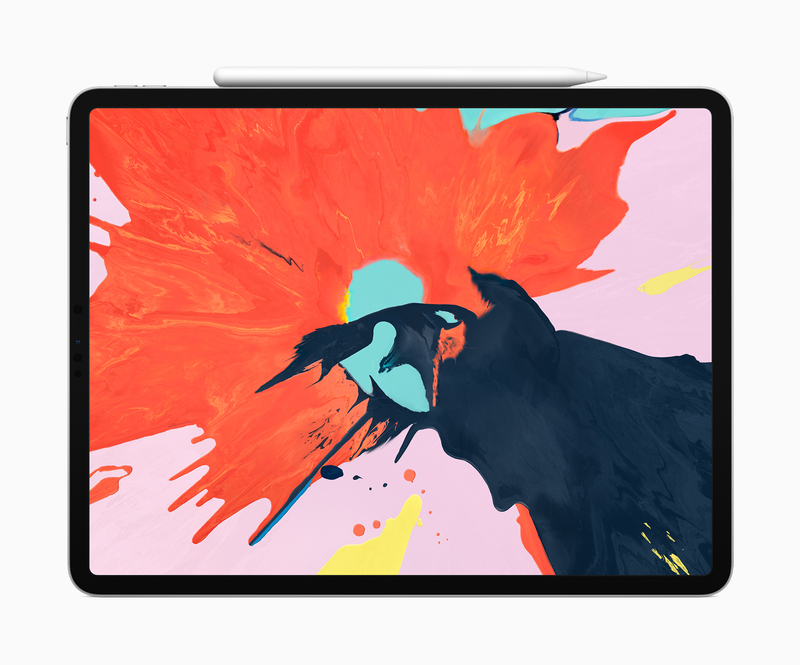 To learn more about the latest iPad Pro, click here. What it is: An artificial intelligence program can detect fake police reports with 80% accuracy. How do people learn? Through experience, which means exposure to massive amounts of similar data from the same type of source. For example, police learn to detect lying by constantly exposing themselves to criminals and learning common factors that exhibit lying and telling the truth. They’re not always right but a rookie cop will be far less knowledgable than a veteran simply because the veteran has more experience. The same holds true for artificial intelligent. Artificial intelligence (AI) learns by examining massive amounts of data to look for commonalities. Police are now using an artificial intelligence program called VeriPol that uses automatic text analysis and machine learning to identify false statements. The AI program was developed by researchers from Cardiff University and the Charles III University of Madrid, and can detect false reports with 80% accuracy. The AI tool is able looks for false statements, such as a focus on the items stolen (usually smartphones and other high-end items) rather than the incident itself; a lack of detail which suggests that the reporter is not truly using their memory; limited details of the attacker, a lack of witnesses, and a failure to contact law enforcement immediately after. The biggest problem with analyzing police reports is that the police don’t have the time or staff to analyze fake reports so an Ain program like VeriPol can quickly identify potentially fake reports to free up personnel. VeriPol has analyzed reports around Spain and researchers hope to test the program in other parts of the world as well. Any repetitive type of information can be detected by a trained person or an AI program. VeriPol simply demonstrates that AI can be smarter than the common criminal. To learn more about the AI program that can detect fake police reports, click here. What it is: An Apple intern used his Apple Watch to monitor the pulse of an unconscious woman. While on a flight from Arizona to Washington D.C., Brian Shear, an intern at Apple, helped a physician monitor an unconscious woman on the plane. Using his Apple Watch, Brian Shear captured the woman’s pulse information and then gave that information to doctors so they could use that information to help her. That’s when Brian Shear decided instead of working for a company making lifesaving equipment, he wanted to become a doctor and use technology to help others. Brain Shear is now studying medicine at Central Michigan University and came up with another idea from his time at Apple. The hospital created a 50-page manual for brain tumor patients. Brain decided to turn this 50-page manual and convert it into an ebook using the free iBooks Author program. By making the manual interactive, Brian believes that patients will use and read the information. Even better, he can easily send this manual to others and duplicate it freely, completely eliminating printing costs with the paper manual. By using the Apple Watch and iBooks Author, Brian Shear has shown how doctors in the future can use technology to save lives and provide information to patients. To read more about Brian Shear, click here. What it is: Ohio State University gave every incoming freshman an iPad, a case, and an Apple Pencil. Schools have long known that computers can help students take notes, do research, and learn programming. In the past, students had to buy their own devices, which meant a mesh-mash of operating systems and capabilities. That’s why Ohio State University decided to standardize on the iPad and to insure access, they gave every incoming freshman an iPad to use. Not surprisingly, the school found that the iPad helped both high achievers and low achievers improve their grades and learning. Initially there were problems when low achievers actually did worse using the iPad, but after the school offered training to teach people to use the iPad for schoolwork, the low achievers improved their grades as well. By using the iPad, students can take notes and do research on a single convenient device. Even better is that Ohio State University is looking at developing digital textbooks for students to read on the iPad. Instead of paying up to $220 for a physical copy of a textbook, students can buy a digital one to read on the iPad for $20. By lowering the cost of textbooks, the iPad offers yet another way to improve education in a college setting. The iPad offers more security from malware than other devices such as standard PCs and it’s simple enough to use with a minimal amount of training. If students can learn to be more efficient with an iPad, it’s only a matter of time before working adults learn to embrace all the benefits of the iPad as well. The iPad can and will replace laptops for many people and Ohio State University’s iPad program shows that. Now we just have to wait for the rest of the world to catch up to the benefits of the iPad. 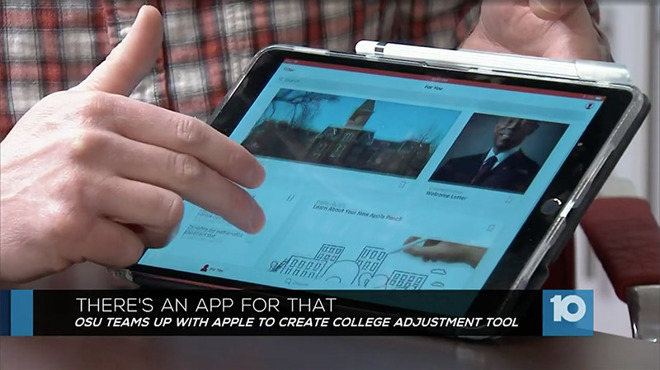 To read more about Ohio State University’s iPad program, click here. What it is: The physical size of a smartphone limits the size of the camera lens, so the only way to improve camera quality is through software. At one time, film camera dominated. When digital cameras appeared, they took chunky pictures so film enthusiasts could rightly point out that film was superior, which it was. Then digital photography gradually improved until it equalled and eventually surpassed film. Now hardly anyone uses film any more. This same pattern is now playing out in camera quality. Dedicated cameras always have room to add bigger lenses that smartphone cameras can never duplicate. For this reason, dedicated film enthusiasts claim that smartphone cameras can never surpass dedicated cameras. The problem is that physical lenses can only improve to a certain point. On the other hand, software improvements rely on processing images given the physical limitation of a smartphone lens. Initially, these software improvements still created inferior images compared to dedicated cameras, but software can keep improving while physical lenses cannot. Eventually, software improvements in image quality will equal and eventually surpass the physical lenses on dedicated cameras. There’s a physical limit to image quality through bigger lenses. There’s no limit to image quality through software improvements and processing power. The only way dedicated cameras can compete is by adding processing power of their own, which will drive up their cost to make them impractical for most people. The future of photography is software. Smartphones will likely continue using one, two, and even three-lens solutions to capture more light and data to process, but it won’t change the fact that the only way to improve image quality is through software that processes an image in ways that a physical lens on a dedicated camera can’t do. If you want to see the future of anything, just look at what’s superior and see if its improvements can keep pace with its newest competitor. In the case of photography, physical lenses can never improve as rapidly as software improvements so that means smartphone cameras will one day replace most dedicated cameras. Just as film used to be the standard for photography, so will dedicated cameras one day fade away like film. The future is computational photography. To read more about how software improvements keep improving image quality in smartphone cameras, click here. What it is: Apple is holding a product announcement on October 30th that will likely focus on the new iPad models. 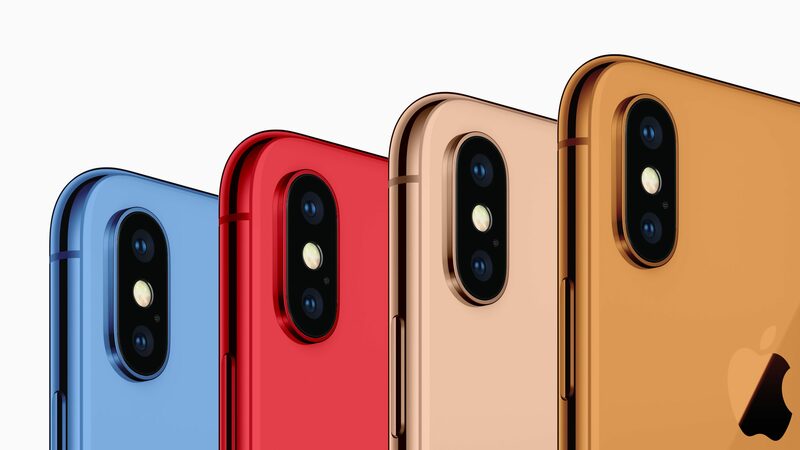 Apple just recently announced new iPhone and Apple Watch models. Now Apple plans to release new iPad models and possible other products such as new Macintosh models. The new iPad models are to be expected, and with Adobe porting Photoshop to iOS, you can expect to see the full version of Photoshop available on iOS. The significance of this is that more professional apps will move from macOS to iOS, making iOS far more lucrative and important than macOS. In other words, macOS is slowly dying but will likely linger for years as the world shifts to iOS. The new iPad models are rumored to use FaceID along with USB-C ports instead of Apple’s proprietary Lightning port. By standardizing on USB-C ports, the iPad will then be able to accept numerous third-party accessories such as a keyboard or an external hard disk. So new iPad models with USB-C support and Photoshop is to be expected. What’s also likely is that the new iPad Pro models will come in the standard 12.9 and 10.5-inch sizes. That also likely means a new version of the Apple Pencil too. Beyond the iPad, expect new Macintosh models. Apple will likely introduce lower cost laptops similar to the aging MacBook Air. The goal will be to offer a low-cost laptop for the Christmas season. The only question is whether Apple will update the MacBook Air design or come out with a newer version of the MacBook, which starts at a much higher price of $1,299 compared to the MacBook Air price of $999. Whatever Macintosh laptop Apple introduces, it will likely target the low-end consumer market. A new iPad and new Macintosh laptop will be expected. What might also arrive will be Apple’s Mac mini or iMac Pro model. These desktop Macintosh models should come with improved specifications, but the Mac mini might be interesting because it’s rumored to be modular for professional users to upgrade later. If you’re in the market for a new iPad, October 30th should meet your expectations. If you’re in the market for a low cost Macintosh laptop, you should also be happy on October 30th. If you’re a desktop Macintosh user, you may or may not be happy with any announcements coming October 30th because Apple may not have updated Mac mini or iMac Pro models ready for sale. The sure news is that the iPad will become more of a portable computer that will be nearly as fast as today’s laptops running Intel processors. That means next year’s generation of the iPad should be even faster and more powerful, which means the age of Intel processors is coming to an end. When the iPad Pro can beat a PC laptop, then you’ll know the conquest of iOS will be nearly complete. 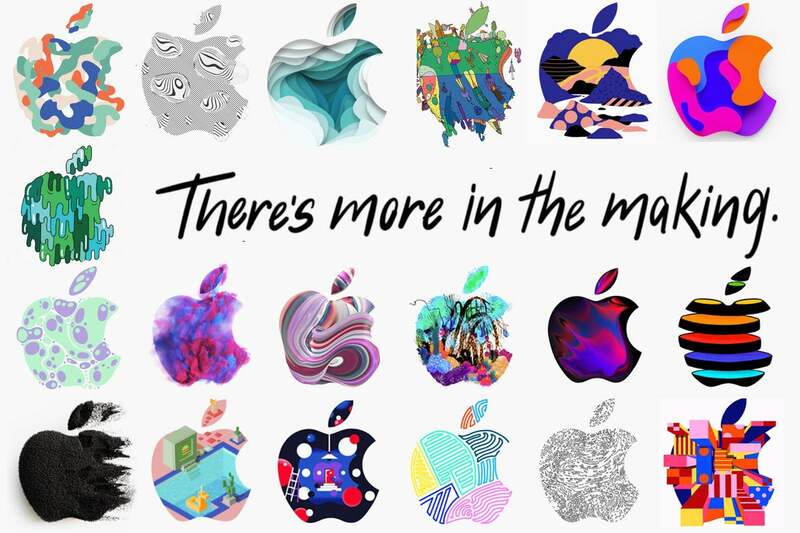 To learn more about Apple’s October 30th event, click here.